The Hotel Srinanak continental Delhi has the world class amenities in its domain of services.It not only give a feel of luxury Hotels but also a feel of Indian Traditional hospitality. 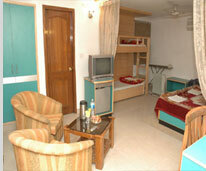 The Hotel Srinanak Continental Delhi serves on the line of Atithi Devo Bhawah (Guests are God). The Hotel Sri Nanak continental is one of Delhi's finest Destination offering the best in International dining experience along with warm Indian hospitality,evolving it's guest in an out-of-this world experience of royality, the hotel begins to stir your spirits right from the dreiveway highlighting Hi-tech interiors to the speculation entrance decor.The rooms are designed as per science of vastu Shastra with all modern Amenities like Direct Dialing facility, Flat color Television, Writing Table, refrigerator, Internet Facility (Wi-Fi)safe (Personal lockers), Iron Board, Fruit Basket, welcome Drink, Hospitality Kit,Mineral water, Newspaper etc.so come and experience The Incredible India! through The Hotel Srinanak Continental Delhi. Hotel Sri Nanak Continental Delhi is Situated at Main Hardhyan singh Road nearest to Ajmal Khan road (Asia Biggest Shopping Centre) Karol Bagh, New Delhi, Due To gets Close proximity to Commercial Centers of Connaught Place (2Km), Domestic arirport (12 Km), I.G International Airport (18 Km), New Delhi Railway Station (2 KM), Old Delhi Railway Station (4KM) it Provides easy access. 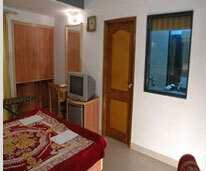 Address: 2222.Hardhyan Singh Road, Karol Bagh, New Delhi- 110005 India.